In a remote village of West Africa, each day is a struggle filled of gruelling chores from sun-up till sundown. The people of this village have lived for years, some of them their entire lives, with out access to a store or even a single restaurant. There are no snack shacks or convenience stores, if you need something you had better become friends with someone who has access to a bike. To serve this struggling community, Cityteam International partnered with local Christian entrepreneurs to open a simple store that provides basic necessities to the community. This store also provides a place to train disciple makers and serves as a place of fellowship for the community. 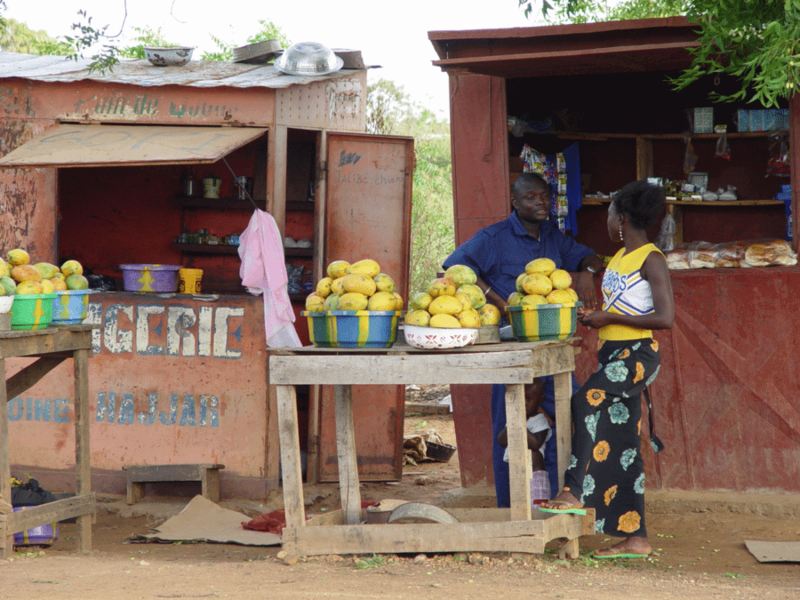 The success of this simple store inspired Mary*, who was trained to operate the community store and a trained disciple maker, to open a small restaurant. Motivated by her desire to serve her community and provide employment opportunities for local youth, Mary used her culinary skills to open the communities’ first restaurant! Through the proceeds of this small restaurant she was able to feed 18 of the poorest community members who were unable to provide for themselves since the devastation of the recent famine. Mary is a testimony to all who enter her restaurant especially her young employees. It is a great source of pride for the parents of her employees, they are thrilled to see their children gaining valuable experience as they learn the restaurant business. Meals and the Message of Gospel are given to all who come through the doors each day. Your support of our ministry in West & Central Africa provides valuable training and equips local leaders to reach their communites with God’s love and serve those in need.